Black & white is always classy, and a winner when it comes to make a brand stay forever in the audience minds. Needless to say, at Sephora headquarters in France, the parking equipment is fully branded in black and white: impeccably elegant, and smart too! With exceptional growth and a presence in 34 countries around the world, Sephora has inaugurated its new Global Headquarters in Neuilly sur Seine, west of Paris. 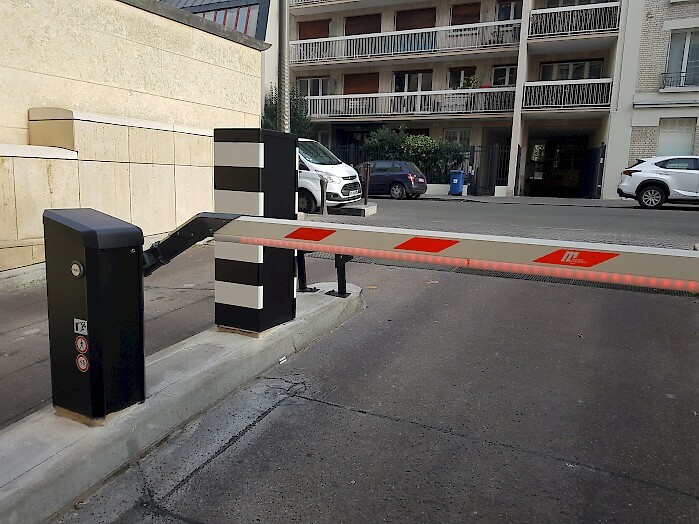 HUB has partnered with Horus Park, the parking division of Groupe Horus, to equip the site with top-notch customized hardware, LPR cameras and a future-proof integration with Sephora employee app. Thanks to JMS management software, the app allows employees to check the occupancy of the company car park, book and exchange assigned lots within an actual "Bourse au parking", making it a completely ticketless site.